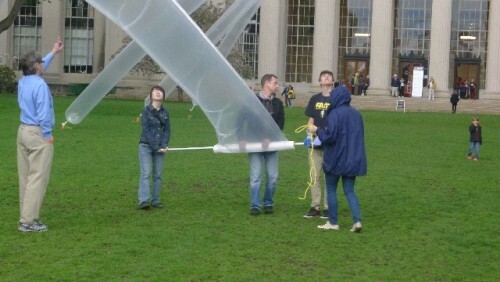 Installers Rolling Out the Inflatable Material in Killian Court. Night Image of Floating Star Piece At Sky Art By Otto Piene at MIT's Killian Court. 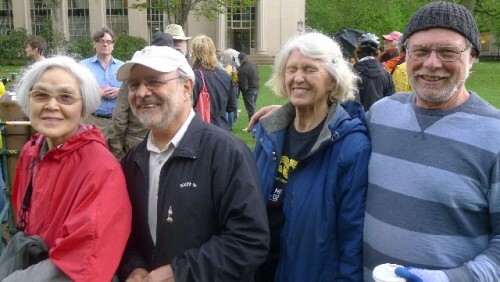 This photo and the lead photo on the Home Page are from MIT. Otto Piene (b. 1928) is a world-class artist. 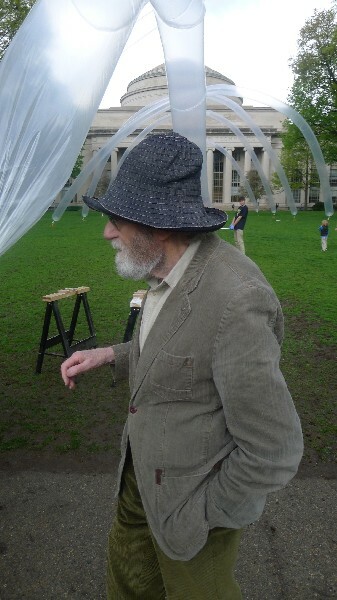 The former Director of the Center for Advanced Visual Studies and professor emeritus at MIT created a large scale elegant environmental art piece that seamlessly combined art, participation and technology at MIT's Killian Court on May 7, 2011. He has been doing similar projects for the past 50 years or so. A pioneer in what used to be called art and technology, Piene is a multidimensional artist whose more "traditional" paintings and prints are widely collected throughout Europe. Full of energy but with a bit of a stoop, he still travels once a month to his studio in Dusseldorf from his Massachusetts residence to work on his art. Greatly honored throughout the world, his work has been collected by many major international museums. However, the Boston Museum of Fine Arts, the Harvard Art Museums, the Yale Art Museum, the RISD Museum and the Institute of Contemporary Art do not own any. 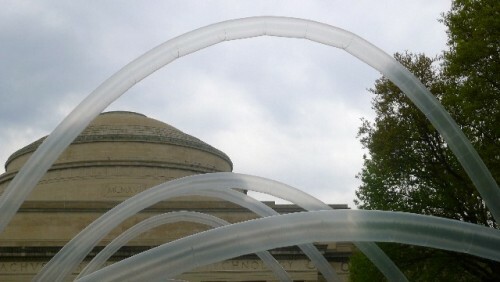 Even at MIT's List Visual Arts Center, MIT's own art gallery/museum, Piene's art has not been historically shown or collected. Finally this year, an exhibition of his work is being shown at the List on October 21 through December 2011. All of this is a regional cultural sin. How is it that such a major visual artist has been so avoided by New England art institutions? 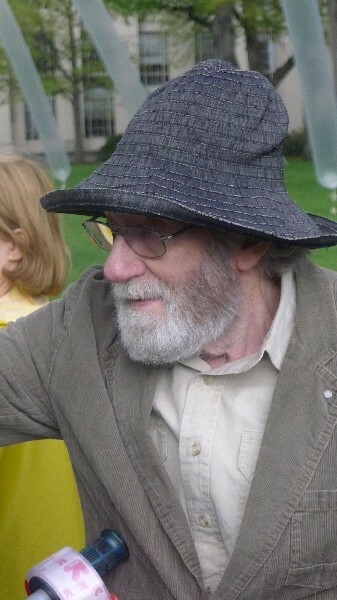 Art and technology, much through his efforts, was fostered and developed in Cambridge at the once flourishing but now gone Center for Advanced Visual Studies at MIT. This art, now referred to as environmental art, is practiced throughout the world. A major international center for its development was Greater Boston. From 1968 to 1971, Otto Piene was the first Fellow of MIT's Center for Advanced Visual Studies (CAVS) that was founded by Gyorgy Kepes. 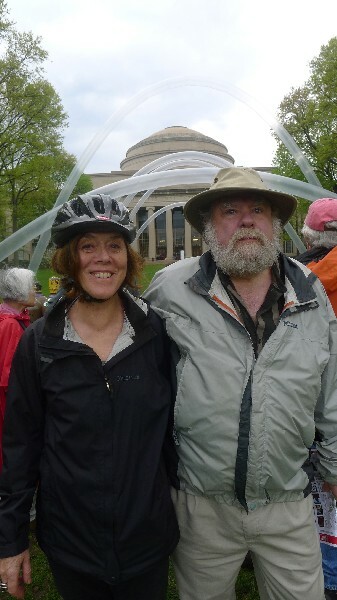 In 1972, he became a Professor of Environmental Art at MIT. In 1974, Piene succeeded Kepes as director of the CAVS. 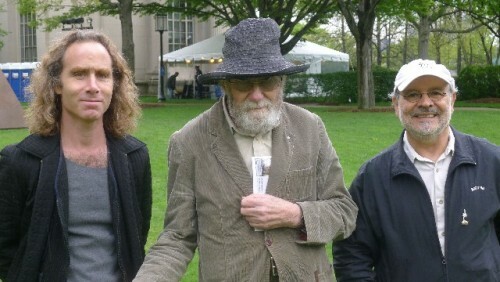 With Otto Piene the CAVS director for nearly 20 years, most prominent and emerging artists of this genre, both American and international, participated in the Center's activities as artists in residence, associates, lecturers or panelists. Yet, the more traditional museums here ignored this vibrant and influential activity. Perhaps it is time to right the wrong? 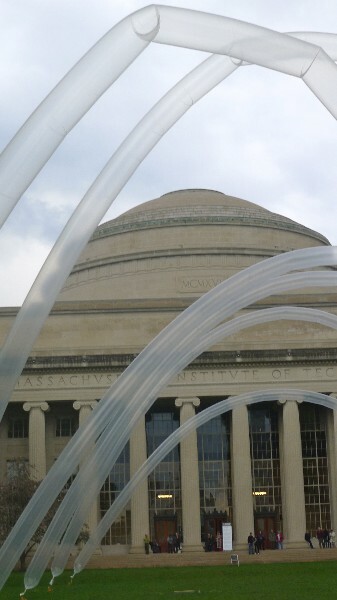 This year marks the 150th Anniversary of the founding of MIT. 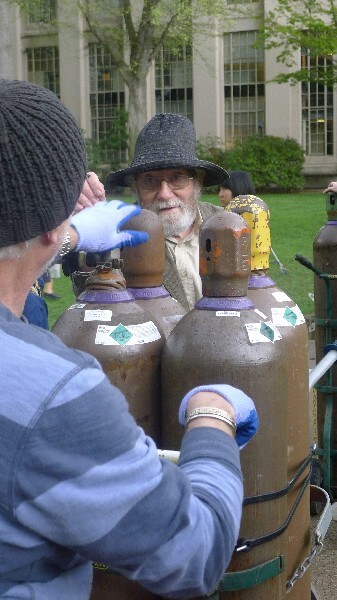 As a major part of the celebration, Fast Arts Festival is a prominent feature of the MIT150 events. 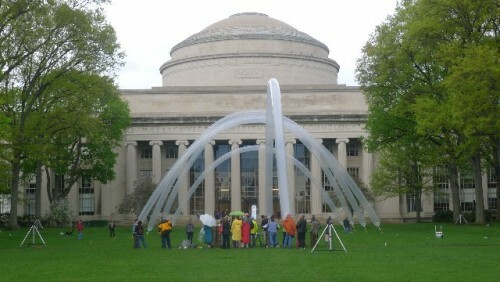 It is a festival celebrating MIT’s unique confluence of art, science, and technology. FAST is presenting a variety of work, embracing past to future, panels and lectures, performance to debate, and exhibitions and installations. 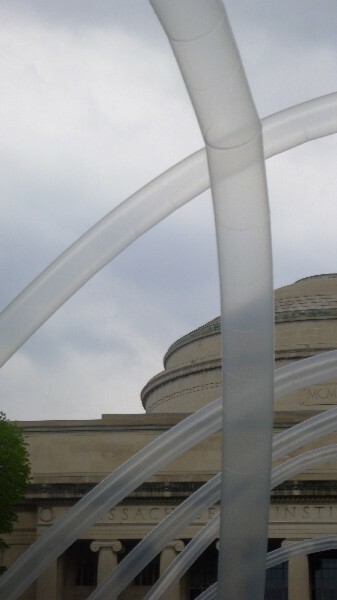 FAST has been appearing throughout the MIT campus and extend over the spring semester (150 days). It is punctuated by five special festival weekend events. 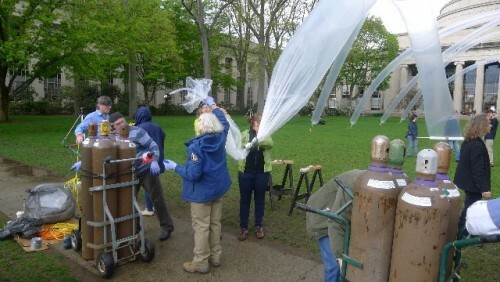 Otto Piene's recent Sky Art event is part of FAST. 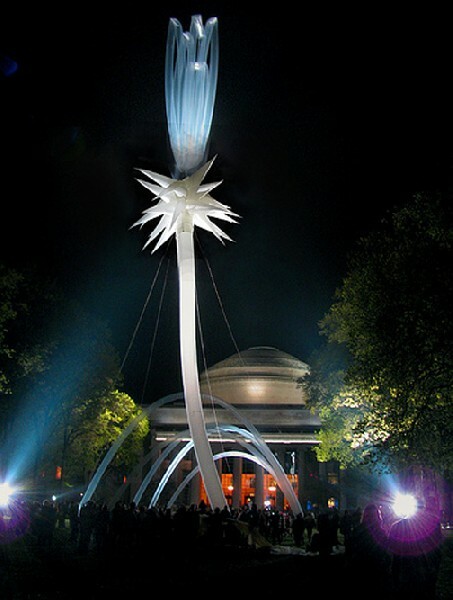 Several light artists participated in the celebratory events and exhibitions throughout the MIT campus and along the Charles River. Otto Piene invented the term Sky Art in 1969. One of his first major pieces was an inflatable rainbow over the stadium at the 1972 Munich Olympics. Olympic Rainbow was made up of five different colored helium-filled polythene tubes, each one was 600 meters long. All of his Sky Art pieces included an often complex process involving major logistics, good weather and hundreds of individuals participating. Over the years, Piene organized four Sky Art conferences in both the US and Europe. His first one-man show in Dusseldorf in 1959 included his Archaic Light Ballet. This piece served as a formal announcement of his concern with involving spectators in a response to the elements. This is now referred to as participatory art. He later wrote, "By elements, I do not only mean the classic Greek elements: fire, water, air and earth. I also mean the human elements of action, reaction, involvement, participation." After surviving WWII Germany, Piene studied painting and art education at the Academy of Art in Munich and the Kunstakademie in Dusseldorf from 1949 to 1953. He was then lecturer at the Fashion Institute in Düsseldorf. From 1952 to 1957, he studied philosophy at the University of Cologne. In 1957, as part of the first generation of post-WWII German artists, Piene and artist Heinz Mack founded the group ZERO. In 1961, Gunther Uecker joined the group. Lacking a concrete manifesto or a shared code of conduct, Zero has been described as a "nonmeasurable condition" rather than a movement. Its common denominators included the desire to bring man and nature into renewed harmony. It also wanted to restore to art the metaphysical dimension that had been overshadowed by World War II. Rejecting both the self-indulgences of abstract painting and the figurative mode loved by Fascist dictatorships, group members instead used a minimalist but inherently poetic visual vocabulary. Their methods ranged from the geometric to the gestural. The artists often employed nontraditional methods and industrial materials. Elements like fire and water, light and kinetic effects previously unknown to the fine arts were used to create their art. Starting in 1959. 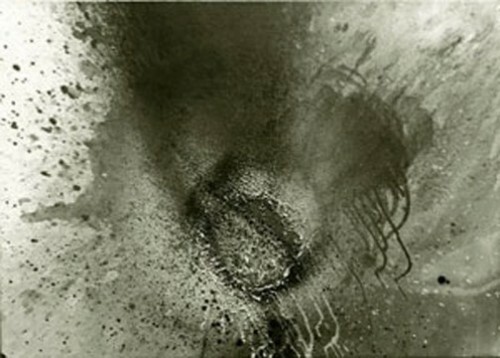 Piene created Rauchbilder ("smoke pictures") as a reference to elementary natural energies. In his "fire paintings," he lightly burned a layer of solvent on pigmented paper, developing organic forms from the remnant, the soot. Throughout the rest of his career, he has continued to create "smoke pictures." Early on, Piene also experimented with multimedia. In 1963, together with Günther Uecker and Heinz Mack, he became spokesman of Neuen Idealismus ("the new idealism"). Piene is also noted for exploring new uses of the medium of television. In 1968, along with artist Aldo Tambellini, he produced Black Gate Cologne, considered one of the first television programs produced by experimental visual artists. If not stylistically, Otto Piene's art has been a creative role model for many, many other leading contemporary artists Anish Kapoor, Olafur Eliasson, Tomás Saraceno and even Ai Wei-Wei. His work has seamlessly moved back and forth from art object to art event/environment. Technical collaboration has been a key ingredient in the work as well. As a teacher, leader and educator, by example and direction he has significantly touched many artists and former students. 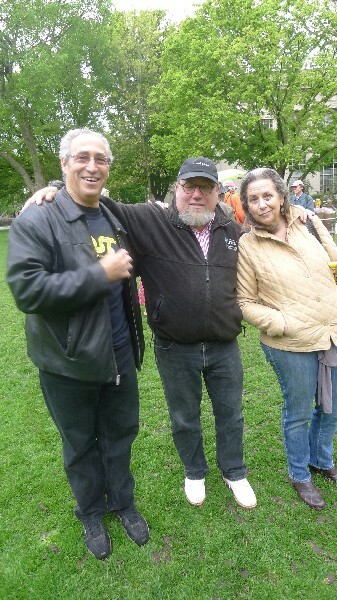 This group includes me and my own work as well. I was at the CAVS first in 1975 and again in 1994. Over the decades, Piene has produced a huge amount of work including art objects (paintings, drawings and prints), light sculptures, environmental events, books, other writings, symposia and lectures. From this massive body of work, certainly local and regional art institutions should embrace and collect this pioneering artist's work. A recent article by Astrid Hiemer in Berkshire Fine Arts , Honoring Otto Piene at Grand Palais, Paris, tells about Otto Piene's 800 page monograph, Delight Edition, Paris, which was recently introduced at the City Hall in Duesseldorf, Germany honoring the city's native son. Another honor, an exhibition and program showcasing Otto Piene's life work will be held at the Grand Palais in Paris, on May 17. The recent FAST Sky Art piece is an elegant Piene visual declaration in his 9th decade. The several "light pieces" created by others at MIT seemed to lack the soul, the artistic mystery and the dynamic playfulness of Otto Piene's work. These were more strategic design pieces than artistic statements. 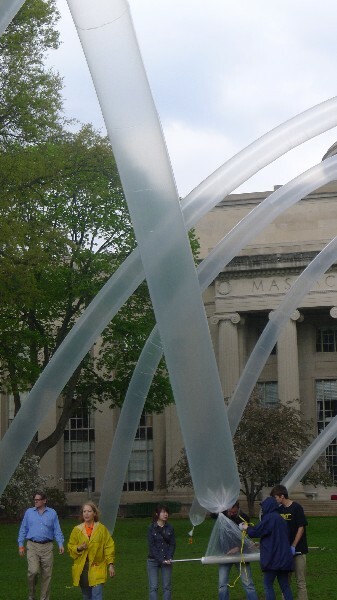 Contrastingly, his helium-filled clear tubing created an etherial arching structure while tall vertical "flowers" reach skyward and form stars that are like giant sea anemones. Lighted dramatically at night, the piece is at once appealing, accessible and yet somehow unworldly. This is a temporal piece that was visually and internally collected by all who participated in or observed it. This will be part of Otto Piene's artistic legacy-- a visceral art of participation, movement and observation.